Love ‘em or hate ‘em, all veterinary practices need one: a practice information management system (PIMS). There are so many factors to consider when researching which PIMS is the best fit for your clinic. They include practice efficiency, integrations, data security and backup, and impact to the client experience. No doubt, change can be complicated, especially when transitioning to a new PIMS. 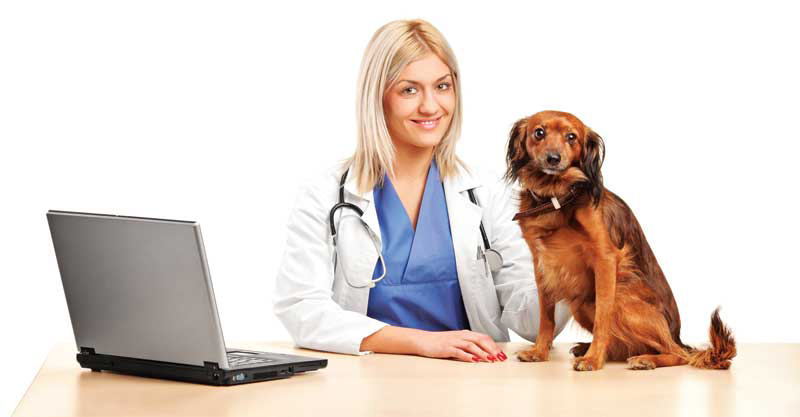 It can often feel a bit overwhelming for veterinary teams that are already stretched thin. However, choosing a PIMS that works for your practice is possible, resulting in overall improvements to practice workflow, productivity, and even team satisfaction. A good PIMS should provide the foundation and infrastructure for a smooth workflow today and five years from now, but you must know what you’re looking for at the outset to ensure a successful outcome. Remember, you can’t buy software to improve your internal processes if you do not first understand them, as well as your pain points. For example, if your practice is looking to go paperless, consider how a system manages client and patient information, how it monitors inpatient care, and how its mobile functionality works. Not ready for paperless? Make sure the PIMS you choose supports local printers. Or perhaps improving charge capture and coding invoices are important to your practice, in which case, you’ll want to make sure any PIMS on your short list has strong capabilities in these areas. At the very least, when it comes to workflow, the PIMS you select should offer a range of options and ready-to-use reports to help you understand your practice’s performance at a glance. You’ll also want to consider the number of users. For instance, will your whole team be using the software or only one or two staff members? If the former, have you considered this in regard to required functionality? If the latter, do you know their specific needs? The PIMS you choose needs to work for the primary users you designate, and it is critical to be clear on who they are. Do you want a cloud-based PIMS? Or does server-based software better suit your needs? Maybe you don’t really know? Researching the benefits of each type of system before you get too far along in the process will be enormously helpful for determining which PIMS providers will be a good fit for you. You’ll need to determine how the cloud versus server decision we discussed earlier aligns with your IT resources. And if you don’t have anyone within your practice with the type of expertise that aligns with your PIMS, you’ll need to consider what IT-specific support is provided with the PIMS agreement. By that, I mean what does the fine print really say about what you’ll get? It is critical your new PIMS has the right technology to integrate with your analyzers and diagnostic imaging modality. Not all systems do this, so be sure to ask about it if you want to avoid a workflow nightmare once your new system is installed. Outlining your other mandatory technology needs also will be key to ensuring you end up with the best PIMS partner. Important considerations include whether a new system is compatible with your existing hardware and software, whether you’ll need to access the PIMS remotely, and what devices (if any) you’ll want to use with it. If you are considering the cloud, you also should ask a PIMS provider to outline with which browsers their system is compatible. Make sure the hardware you are using can support those browsers. (Some “thin client” desktops may be incompatible with Google Chrome.) Also, make sure your other applications can run on the same browsers and that your internal IT supports the new technology stack. Apps and new services have clearly found the veterinary industry. With so many to choose from, it’s important to understand which functionality works best for your team and which apps have varying levels of integration with PIMS providers. Nearly all of them offer at least a few apps and services with which they have a partnership. That said, ensure the system you choose works with the apps and services you already use to avoid unnecessary work for your team. It is critical your staff understands the clinic’s needs so you can evaluate the value of any given PIMS app ecosystem to your practice. “Integration” is an important word here. You’ll often hear apps have integrations with PIMS providers. Ask for the details! Don’t just trust the comment, “Yes, we are integrated.” Make sure the methodologies you have in your facility meet the processes in the PIMS, and integrations follow every step of that process. Also, ensure the integration is sanctioned by both vendors and that their respective help desks are aligned to support your team 24/7. It’s also important to think about your practice’s future needs. You’ll want a PIMS with a robust app ecosystem you can tap into if and when you need a particular functionality as time goes on. You’ll also want to ensure your PIMS provider understands the ecosystem is always evolving and that they’re continuously adding new apps and services that are good fits for their customers. You may not need a wellness plan, a boarding calendar, automated client communications, or patient referral management today, but you might wish you had the ability to integrate them in the future. Most PIMS offer support—but sometimes it’s very light and largely self-serve. Other times, there’s a treasure trove of information and an army of experts at your disposal. Until you confirm the type of support you require, you will be unsure as to whether you will reap the full benefit of the help available to you or if the provider will leave you to figure things out on your own. Ask if the software is backed by live training and dependable support (i.e. online, email, and by phone). Also, inquire as to what training is available and how many hours of it are included to ensure a smooth transition to the new system. You’ll also want to find out how frequently your software is updated. A 21st-century practice needs software that is made for 2019 and beyond, so ask your provider what is on their PIMS roadmap and make sure you understand if you will be charged to access updates. This also is a good time to ask about how often updates happen—are they regular and ongoing, or are there standalone releases occurring at different points in time? It is also a good idea to ask what kind of support is available to train your team on new features and in the wake of significant upgrades. Your software should improve over time, and good support helps you maximize the benefits of any new bells and whistles. Data is an important asset that must be protected against accidents, human error, or malicious attacks. Choose a software provider with a clear strategy to transition your data, secure your network, and protect your software and operating system. Find out how they plan to safeguard and recover data, and learn what resources are available to educate your team on security best practices. You also should determine your practice’s comfort level with the size of the PIMS provider itself—smaller providers may be nimbler, but might not have as robust a set of security protocols or data backup capabilities as a larger, enterprise-level provider. If you are communicating with a cloud provider, it is very important to ask about redundancy and on how many data centers they host your data. You might wonder if software can help you provide a better client experience. The answer is it can, but you have to ask the right questions. What types of client-convenience features in a PIMS are most important to you? New features are always in development. Consider the ones that can help strengthen relationships with your clients. Is a reminder tool useful? What about the ability to make online referrals? Are there tools that can help increase compliance? What will improve your clients’ experience at the front desk and in the exam room? A big part of your practice’s successful transition will be in the relationship with your new provider. Are you looking for an upstart with a smaller customer base? The biggest player in the space with a giant support infrastructure? Either way, make sure you’re picking the software and vendor that works best for your staff. One great way to do this is to ask for references and testimonials from current customers of a potential PIMS provider. It’s important to see the product up close as presented by the person selling it—but why only rely on that perspective when you can hear from actual users like you? Another option might be to ask what the provider’s customer success management program looks like to determine if the level of ongoing communication will work for your practice. There are a lot of factors to consider when choosing the right PIMS for your practice—it can be a lot to take in! And it may feel like a huge investment of staff time to understand the true priority needs of your practice and then carefully evaluate each PIMS you’re considering. However, in the end, all your hard work can help ensure you’ve selected the right technology partner for you. Does your PIMS solve your practice’s specific pain points? Do you need server-based or cloud-based software? Is IT support provided with the PIMS—and what is included in your support agreement? How frequently does the PIMS get updated? How does the PIMS manage data security? Is the PIMS provider willing to offer customer information to allow veterinarians to gain insight or a recommendation to purchase the system? With what other software, apps, and programs does the PIMS integrate and how deep are those integrations? Does the PIMS provider have an ongoing customer success management program? Does the PIMS provider offer tools to improve client communication and compliance? Ivan Zakharenkov, DVM, BSc, graduated from Canada’s Atlantic Veterinary College in Prince Edward Island in 2006. He then established a veterinary diagnostic laboratory in the Russian Federation and, in 2007, began practicing as a veterinarian. Dr. Zakharenkov’s primary focus was on emergency as a core occupation and he performed locum/relief work in various establishments. Over this period, he was exposed to general practice, large referral hospitals, and ownership of small operations. Zakharenkov developed the Smart Flow Workflow Optimization System, addressing the pain points he experienced in the field. From 2013 to 2018, he consulted 550-plus practices in the U.S., Canada, Australia, Asia, and Europe on efficiency and workflow optimization. In 2018, Smart Flow and Zakharenkov joined IDEXX, where he currently serves as director of its veterinary software and services group.